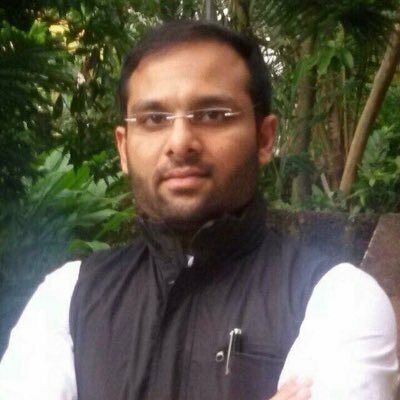 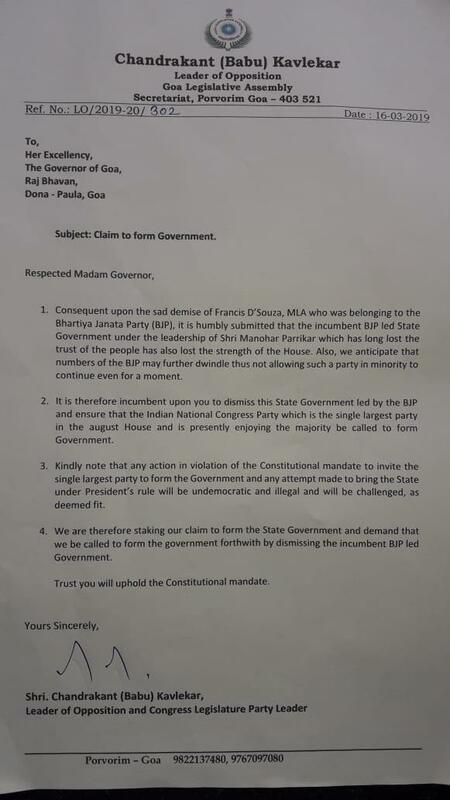 Panaji (Goa), [India], Mar 19 (ANI): Goa Pradesh Congress Committee (GPCC) Chief Spokesperson Sunil Kawthankar accused Governor Mridula Sinha of allowing the BJP to indulge in horsetrading and not paying heed to its requests to form the government in the state. 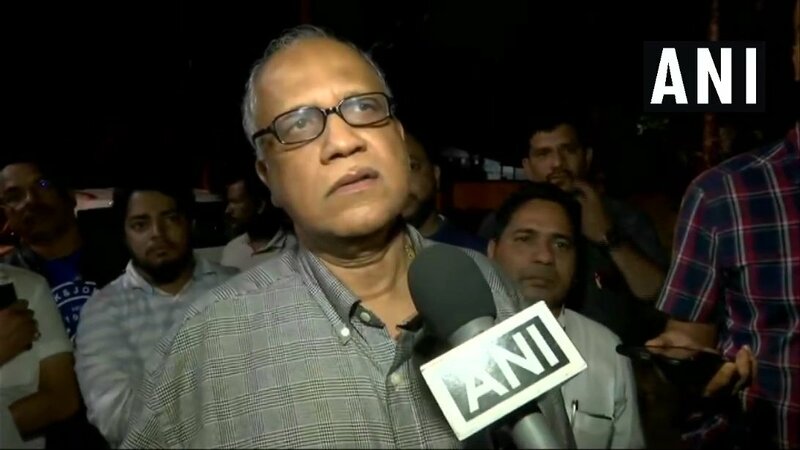 Panaji (Goa) [India], Mar 18 (ANI): Congress MLA Digambar Kamat on Sunday said that he didn't get any offer from the Bharatiya Janata Party to become Chief Minister of Goa. 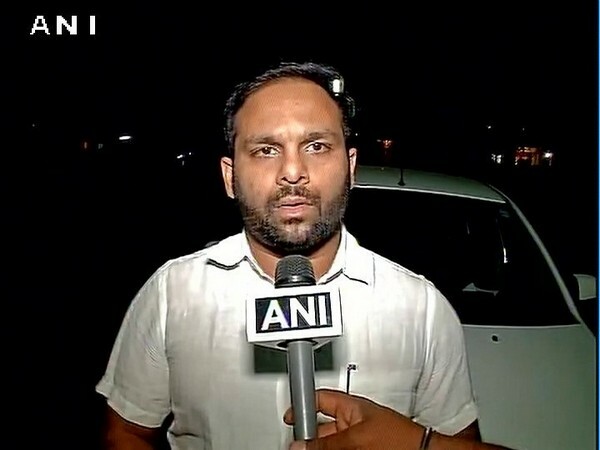 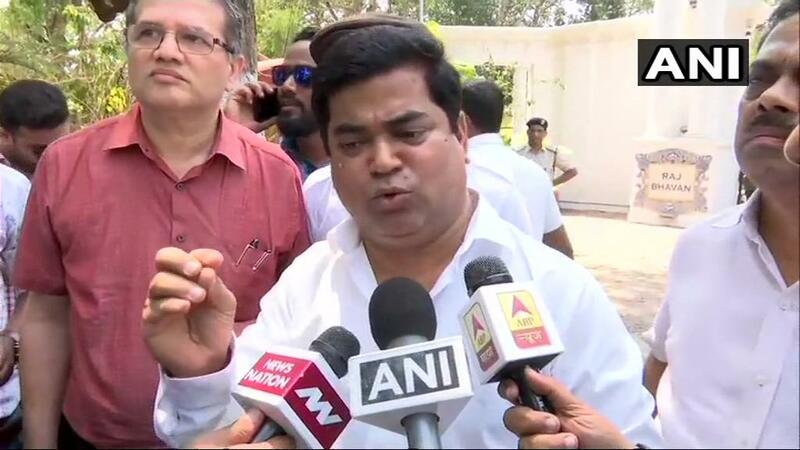 Panaji (Goa), [India], Mar 17 (ANI): It is very unfortunate that the government in the state is being manipulated and the Raj Bhawan has been converted into the office of BJP, alleges Congress party. 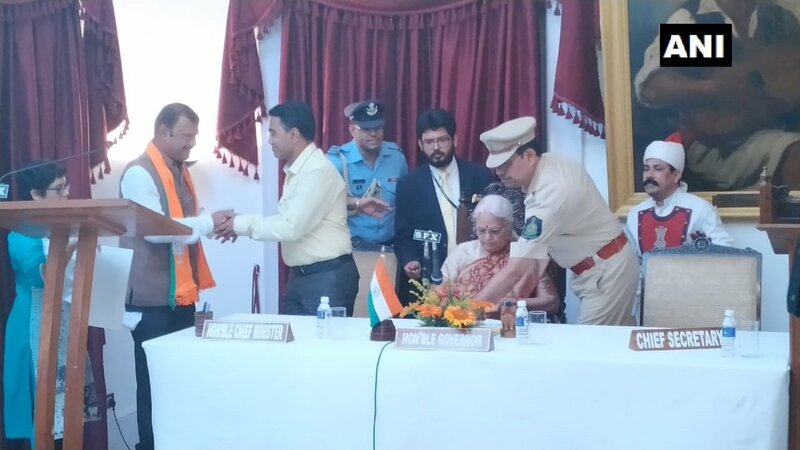 Panaji (Goa) [India], Jan 18 (ANI): In a veiled attack on former Prime Minister Manmohan Singh, Goa Governor Mridula Sinha on Friday said some leaders are "accidental" and "foisted into the position by others" without giving much thought whether the leader "understands issues". 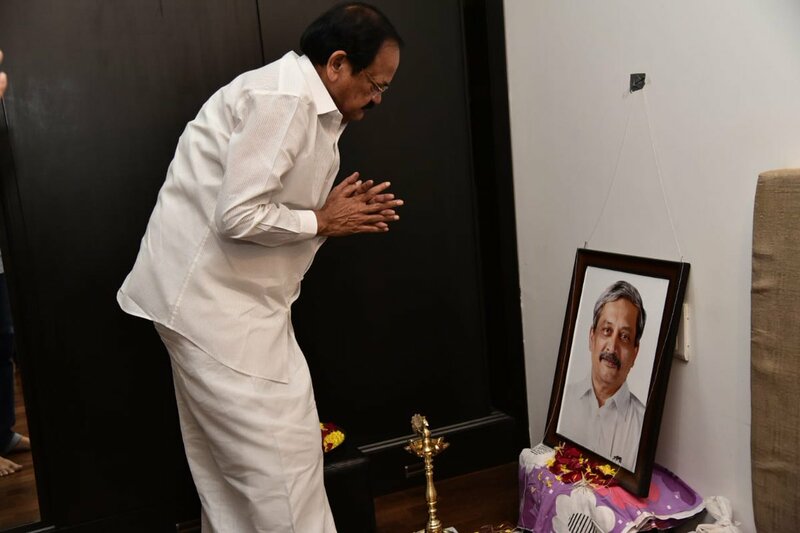 Panaji (Goa) [India], Nov 5 (ANI): Goa Chief Minister Manohar Parrikar and Governor Mridula Sinha on Monday extended their greetings and good wishes to people of Goa on the eve of Diwali. 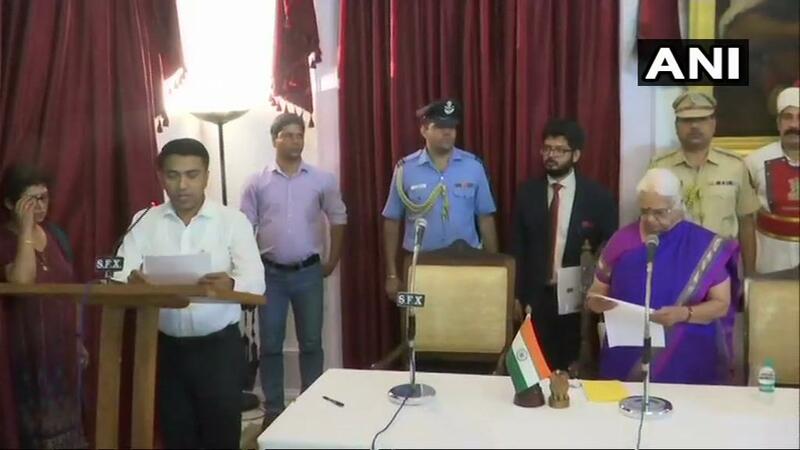 Panaji (Goa) [India], Sep 19 (ANI): The Goa Congress legislators have met state governor Mridula Sinha and demanded floor test by the Bharatiya Janata Party-led government in the Assembly to prove its majority.